Vertigo Outdoor are a team of highly skilled and trained Mountaineering Instructors. We run formal training courses such as BOS Mountain Skills (MS), Single Pitch Award (SPA), Climbing Wall Award (CWA), Mountain Leader (ML) and more as well as ad hoc courses and bespoke training. We also run regular coaching holidays in locations across Europe where we deliver coaching, tuition and guiding in Rock Climbing and Mountaineering. Rob Davies who oversees all the courses and directs all BOS courses has been climbing for over 20 years in all areas of the World. 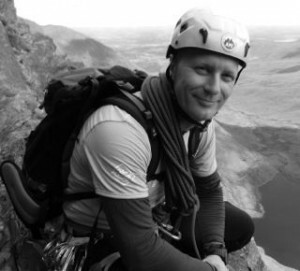 He holds various professional instructional qualifications and is a full member of AMI (Association of Mountaineering Instructors) All our team are fully qualified and registered with the appropriate governing bodies. We are all wilderness first aid trained, Garda vetted and have attended training in the codes of practice in relation to working with young people. Our staff are all very experienced in introducing young people to the world of adventure sports as well as teaching high end courses to adult groups. We aim to give inspiring guidance and instruction in all aspects of mountaineering and adventure sports and as 90% of our business is from referrals you are sure to want to keep coming back for more! see what our customer really say at: Customer reviews Rob Davies: I have been very fortunate to have followed my passion for the outdoors since my early teenage years. The desire to climb, hike, ski and explore has taken me to many amazing locations around the world. Some of my favourite climbs and destinations are: Cuillan Ridge, Skye, Scotland, Rebuffat route, Aiguille du Midi, Chamonix, France, CMD Winter Traverse, Ben Nevis, Scotland, Aspettando Martino, Arco, Italy, Grand Grotto, Kalymnos, Greece, Chramove Steny, Czech Republic, Glendalough, Ireland. If you are adventurous of spirit and like challenging but fun routes and want to learn lots of new skills along the way then I may be just the right Mountain Instructor for you!